Rose Malone-Jones, APRN-CNS is a high skilled family clinical nurse specialist practicing at Kettering Physician Network Primary Care - Dayton Primary Care in Dayton, Ohio. 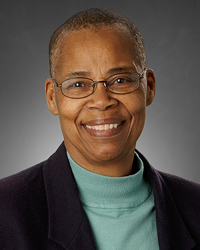 Rose has more than 40 years’ experience in health care. Family Medicine, including preventive health care and routine check-ups, vaccinations, as well as sick visits and chronic disease management and prevention. Rose specializes in geriatrics and pediatrics. Rose enjoys all aspects of Family Medicine, especially caring for and getting to know multi-generational families over time.